An open-world fantasy RPG sandbox featuring both player(s) and creator(s), i.e. PCs and GMs; a multiplayer collaboration between environment and experience. Essentially, The Elder Scrolls open world gameplay and exploration + the endless possibilities and persistent worldbuilding aspects of the pen & paper game of Dungeons & Dragons. ~ The Creators create a Skyrim-like world from the ground up, and then invite their friends to run around in it. Fantasy open world sandbox. Sandbox as in the specifics of the type of fantasy world is dependent upon the creator’s innumerable decisions, not unlike the game designer themselves. ~ The playable character (PC) can assume the class roles of warrior, rogue, wizard, and everything in between. The PC class is as customizable as the environment is, and by the player, although the available options for those characters are dictated by the Creator. ~ The Creator(s) (ala the GM – Game Master / DM – Dungeon Master) are responsible for creating the world and everything in it. ~ For PCs – 1st person or 3rd person; Hyper-realistic/stylistic action swordplay and spell slinging complete with incantations and hand signs OR high action, combo-style fighting – depending on the nature of the game created. ~ For GMs – Open-source toolset to construct the game world and generate world content in the game’s familiar open-world engine. Persistent open world gameplay, with completely customizable dungeons, guilds, cities, quests, monsters, wars, etc. among PCs and GMs together in a multiplayer-capable world. The entire game experience can be designed from the ground up by a group of Creators, to be played within by friends or as many people that are interested through the internet. The primary design features of the game is in its robust customizability and collaboration between player and Creator, within the Shared Fantasy Engine — the core assets, physics, and mechanics at play in each sandbox game world to be created. Essentially, this game can be seen as a more robust Skyrim Creation Kit being available to players as the game itself, with all the necessary design concerning ease-of-use for the creation toolset and intuitive user interfacing being the focus of the game. The game is the clay, and the making the materials available to mold most usable it is the focus of the game design. The actual work of designing a playable narrative for the game is irrelevant because the Creator(s) will be taking care of that when they play the game, i.e. create the game world within the engine, to be played by their players. They just need to know how to create their envisioned game, and the Shared Fantasy Engine should make it as easy as possible to enact the game experience they wish to craft. ~ Phase 1: The Creator(s) coming together to design their world, building out and executing that vision, and then making the world available to the chosen players or themselves. Making the game world might take an understandably long time. This presents a hefty drawback, as it leaves the players-only participants waiting. But it also works to increase the likelihood all the players would want to be involved in the game world’s collaborative creative process in some manner. ~ Phase 2: The players and Creators playing through the created game world. The Creators can observe the players in the different areas of the world for their own entertainment, charting their progress against other players in the game working through the same story thread or dungeon raid, providing tweaks to dungeons or storylines as players through them. Or they can participate in the game themselves, like a DM playing a player character in their own D&D campaign. The game world can house many players, the limits enacted by the creators for the purposes of the game experience they want the players to have. For example, it could be ~ a massively multiplayer world where every single city and regional area features dozens of players questing and interacting – or – a world where 4 players quest together or separately, perhaps getting online and playing at entirely different times, only noticeable in the world by the trail of carnage they leave behind. The experience is up to a collaborative decision between player and Creator. Game setup includes dictating the parameters of the shared fantasy world. The decisions include how many players will be involved in the shared world, which roles each will assume — PC, GM, or both, and the basic building blocks of the world to be created. Not unlike a Dungeon Master creating a campaign for D&D, the Creator is tasked with generating the world the PCs will be playing within and the content they will be experiencing throughout this game world. This would include everything from the general makeup of the universe (map size, playable races, type of fantasy world), to the detailed nature of the cultures, cities, kingdoms, magics, and deities living within the open world, to the storyline and the quests to be completed. The world is a sandbox to be shared among many PCs, at their chosen starting locales and areas of operation within it (like an MMO world), and can be collectively crafted among potentially many Creators, or DMs. Each of the Creators collaborate on the nature of the open world and its many peoples, monsters and locales. One Creator may be tasked with creating the Eastern region, and another with the West and Central regions. Each of them designing the city structure and culture and the dominant political party or race at play there, along with all of the surrounding dungeons, caverns, countryside towns, and the narrative threads & quests within their purview. Or a sole Creator can do everything, the players only designing their race & character class before being dropped into the world. Both the Creator and the Player can decide their level of involvement in creating the world, before it comes online and is playable. Game AI ~ the intelligence and novelty of the NPCs, monsters and all magical affectations to be populated throughout the created world. NPC archetypes, monsters and sentient items can be customized with a specific level of AI by the Creator, depending on the level of intelligence they wish to imbue the creation with. The game would feature a rather simple dialogue system not unlike Elder Scrolls or Divinity: Original Sin – with lightly meaningful dialogue choices determining how much an NPC favors you and will reveal information / ask for help / give better rewards, etc. Landscapes ~ the Creator has complete control of the terrain and landscapes making up the fantasy world. The different regions of the game can feature different climates, points of interest — such as mountains to climb, dungeons to delve, underwater caverns to spelunk — with different bestiaries and other potential character professions operating in the area. Infrastructure / Culture / Politics ~ The size and political / sociocultural makeup of the cities is determined based on a variety of factors such as: region, race, religion, dominant profession, the magic favored there, the threats faced in that area of the world and the people’s response to it. 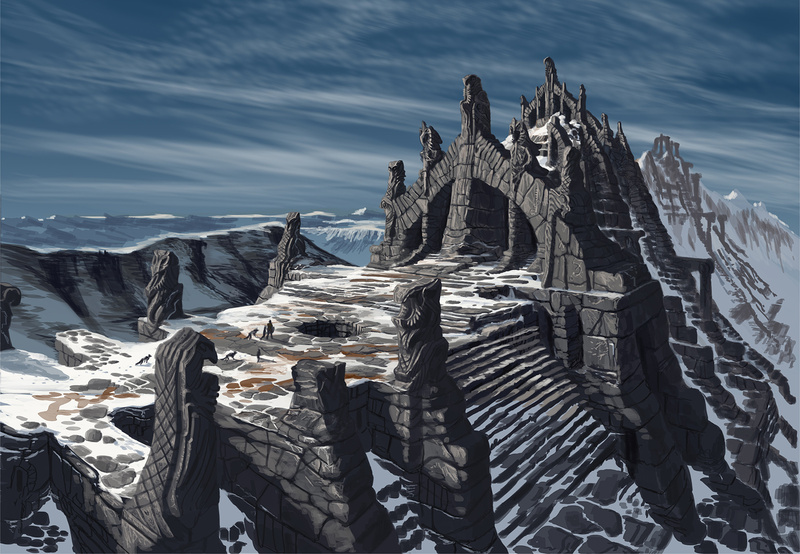 Each city, town, and village can be designed from the ground up, populated with all manner of guilds, shops, and unique points of interest for potential side quests. NPC characters can be as detailed or stock as determined by the creator. The more salient NPCs are given better stats, items, and more robust dialogue options. 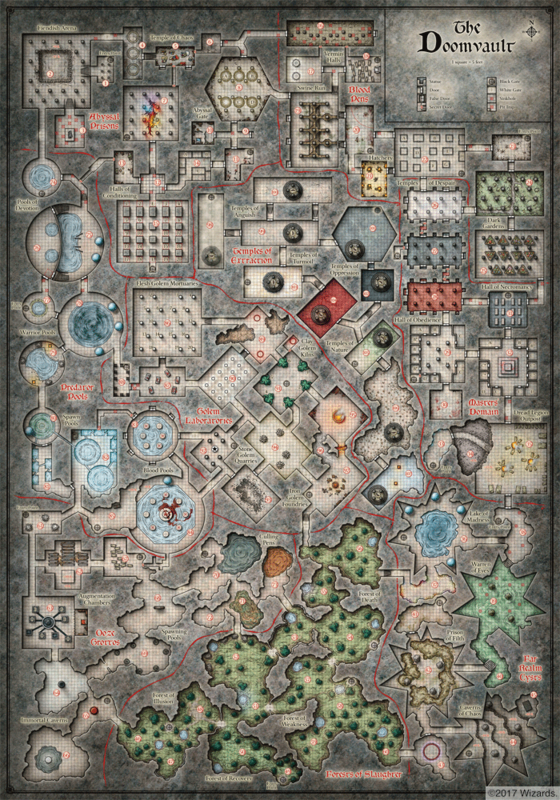 Each settlement features a primary important location – culturally or politically – such as the Duke’s castle, the Mage’s Guild, the Great Cathedral, the Shadow Syndicate’s hideout, etc. Dungeons ~ A dungeon, like in D&D, makes up the primary locale for adventure in the world. 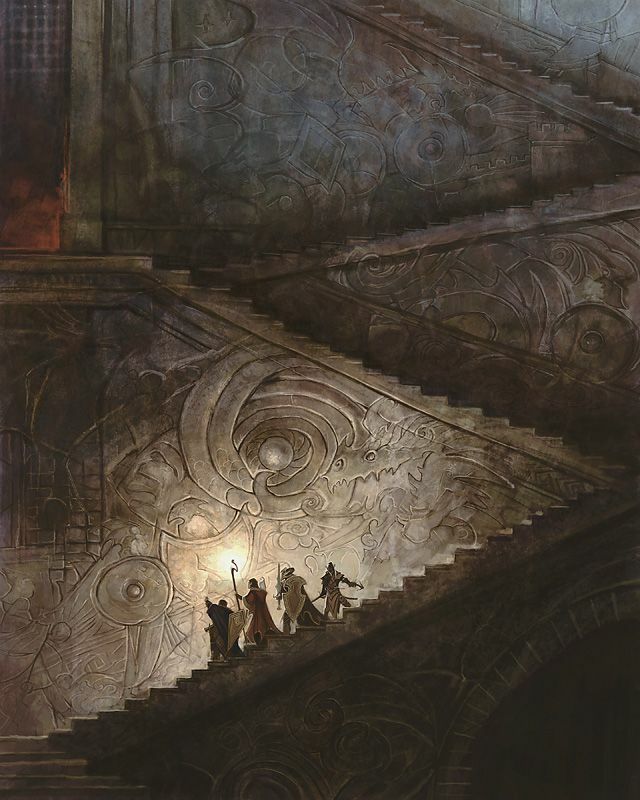 Dungeons — their stories, the monsters lurking within them, the traps awaiting the unwary travelers — are the telos of the Dungeon Master’s role and can provide a creative outlet unlike any other. Designing a good dungeon can be the most satisfying aspect of being a Creator. Depending on the type of world being created, dungeons can make up the most important aspect of the creative process. A dungeon can mean a literal dungeon, designed to hide some treasure or protect a person, or a cavern full of goblins, or a fortress, or an island, or a catacomb beneath the city graveyard. Any series of rooms, corridors, or overland location full of dangerous monsters, treasure, and discovery can be classified as a “dungeon” here. And the wilderness of the world can be filled with all manner of dungeons for the players to explore, alone or in large groups, at varying levels of difficulty. The Creator(s) can hand-craft each aspect of a dungeon using the level editor, or procedurally generate them in their entirety – including monsters and loot – or to fill out the entire world, use some combination of both of active creation and procedural generation. The action is in first or third-person. The combat features swordplay, archery, high magic use, sneaking, etc. – everything you would expect to see in a fantasy RPG, modeled after The Elder Scrolls. However, The Elder Scrolls, both the primary open world games and the MMO (all MMOs in my opinion), suffer from some pretty glaring problems concerning combat. The primary issue with games like Oblivion and Skyrim, at least for swordplay, is that it feels non-responsive. Slashes and bashes hit upon the other character models, but it is less than satisfying because there is no real swordplay. Skyrim did a better job than Oblivion and Morrowind concerning the weight of strikes in combat. Concerning magic, it should be higher risk, higher reward. The high magic usage of being able to fire as many fireballs as you have mana can become repetitive, and gives diminishing returns. The use of magic can and should be one of the most important aspects of combat. However, using the spell fireball (like in D&D), should be more monumental, more devastating to your foes, and more costly to the player concerning the resources they had to use to fire it. Thusly, magic use would by default be rarer and more powerful as compared with what you see in the Elder Scrolls games. However, like everything else in this game, it can be customized to either style or something in between by the Creator. Opinion incoming: ~ Massively Multiplayer Online games (which this type of game might be a cousin to) features combat which can be rote, tiresome, and altogether unsatisfying compared with other, more personalized action RPGs out there — like The Witcher, Elder Scrolls, even Diablo. The problem is the combat becomes rote Excel hotkey work, with the game world around you not responding to your party’s interactions with it outside of calculus underneath it all, bars lowering, and ability cooldowns firing off. This isn’t to say this isn’t challenging, fun, or interesting for players to experience. It’s just for me personally, it is the primary reason why I don’t enjoy MMOs that much. All combat feels less meaningful, and its mostly due to the repetition. The teamwork is awesome, but the combat gameplay leaves a lot to be desired. From what I have seen and played, Guild Wars 2 does probably the best job of making MMO combat feel better. But ultimately, the Shared Fantasy combat would be designed more like Skyrim‘s than any MMO. The combat mechanics in the game would be summarily important for the game experience, as fighting with monsters, NPCs, and other players is a primary focus of any fantasy RPG game. The primary inspiration for the 1st and 3rd person combat, outside of Skyrim, would be Mount & Blade. This game features perhaps the best, yet simplistic and intuitive, system of parrying swordplay I have seen. Thus, an updated Mount & Blade combat style could be fitting for this game. Additionally, newer games like Kingdom Come: Deliverance, For Honor, Mordhau feature more realistic and measured styles of melee fighting. However, this isn’t to say this game will feature an ultra-realistic medieval style of fighting. The style and danger of combat can be customized similar to difficulty, based on the type of experience the Creator and player want. The combat experience can still be high fantasy / high powered affairs, to the point even of God of War-stylization or an MMO, or it can be the realistically gritty medieval bouts of careful life-saving parries and dodges. Alongside the damage martial weapons can do, the speed and movement of combat should be customizable as well, tailored to the experience of the players within the game. Perhaps most of the game’s design time would be around the toolset for the custom combat features available within the game. The storyline and narratives within the game are entirely up to the Creators. The full song and dance of the fantasy RPG format will be on display ~ The game follows a linear level progression ~ Players gain experience by discovering locations, slaying monsters, completing quests, gaining treasure & rewards ~ Levels bring unique bonuses based on class and the type of character being built ~ Individual quests, whether they be of the primary narrative build by the Creator or on the side, can feature robust writing and complex threads of events coming together over lengths of time or can be as simple as “go to the cave, bring back its eye, and I will give you this magic sword.” The richness and complexity of the world being experienced by the players all depends on the minds of the Creators.